Three things were obvious to even the casual fan in Charlotte on Friday as the Hornets closed their four-game homestand with a 113-102 win over the Atlanta Hawks to move above the .500 mark at 6-5 overall before heading out on the road for a three-game trip starting Friday in Philadelphia. 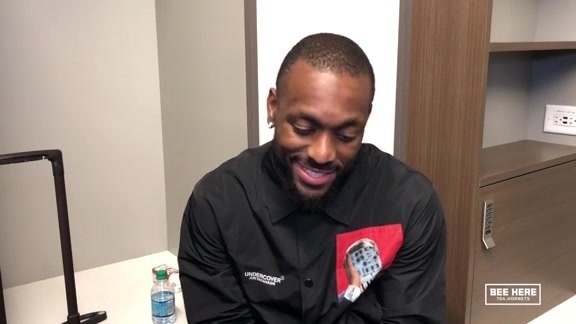 First, Kemba Walker continues to impress in his red-hot start to the season, finishing with a game-high 29 points on 12-of-22 shooting (54.5 percent), including 4-of-10 from long range and adding a game-high seven assists, three rebounds and three steals on what he’s hoping to be a third-straight All-Star season. Walker now has 46 treys this season, trailing only Golden State’s Stephen Curry. With his first rebound, he became just the ninth player in franchise history to grab 2,000 career rebounds in Charlotte. "They play hard every possession throughout the whole game. They fight as a young group. They have a fast pace. We just had to play as hard as them,” said Walker. “They came here and they wanted to win and they really made us go after this one and we had to. It was a great game from both sides, and I'm really happy we got that victory." Second, Head Coach James Borrego has a pretty good grasp of this Hornets roster and continues to make the right moves with one of the most efficient offenses in the league and a bench that has arguably been the NBA’s best. Just 11 games into his first season as Hornets head coach, Borrego has admitted he is still trying to find the right playing groups for Charlotte despite having an offense that is playing amongst the most efficient in the league, including a bench that is second in the NBA in scoring and has consistently been one of the top reserve units all season. At this point, Borrego is making all the right decisions in the early stages and did so again in the fourth quarter against the Hawks to help lead Charlotte to the win. Charlotte entered the final frame up 81-77 and saw Atlanta hit the first two buckets of the quarter to tie it, 81-81, but Borrego was not deterred. J.B. kept the lineup of Tony Parker, Malik Monk, Nic Batum, Marvin Williams and Cody Zeller on the court despite the fact that Zeller had zero points and just three rebounds in 17 minutes until that point. 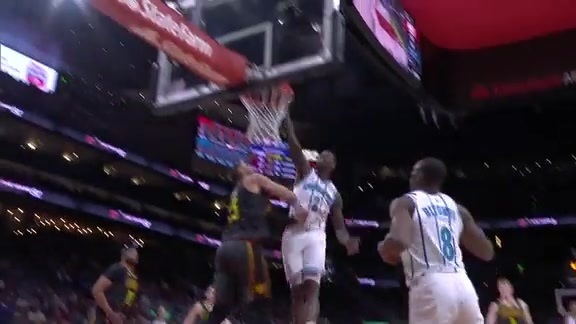 Zeller rewarded his coach’s confidence in him with back-to-back buckets with a dunk inside from Monk and a drive down the left side that gave the Hornets the lead back, 85-84. Those two plays seemed to spark Charlotte’s offense in the fourth as they started a 19-7 over the next 4:36 and turned a tie game into a 100-88 advantage with six minutes remaining. From there the Hornets would continue to put pressure on at both ends of the court, never falling below a nine-point lead on the way to the victory. And finally, 13-year NBA veteran Marvin Williams still has plenty left in the tank after scoring a season-high 20 points on 8-of-14 shooting from the field, including 4-of-10 from long range. Williams also added eight rebounds, one assist and one steal in his best game of the young season after averaging 6.5 points and 4.5 rebounds through the first 10 games. It was Williams first 20-point game since January 15, 2018. Jeremy Lamb (13 points), Monk (13) and Nicolas Batum (10) also scored in double digits for Charlotte, while Jeremy Lin came off the bench to lead the Hawks with 19 points. The Hornets will tip off at 7 p.m. on Friday in Philly to start their trip, which also includes stop in Detroit on Sunday and Cleveland next Tuesday. NOTES: Rookie Miles Bridges has become known for his jaw-dropping dunks early in the season and did not disappoint late in the first quarter when Willy Hernangomez found Bridges cutting down the left baseline for a powerful, one-handed throw down over Dwayne Dedmon. “I wish I could take credit for that athleticism. That’s just Miles,” said Borrego. “That’s just natural God-given ability. It wasn’t just that play – that was an explosive play – [but] he had a couple others that he just drove it to the rim and we need that. 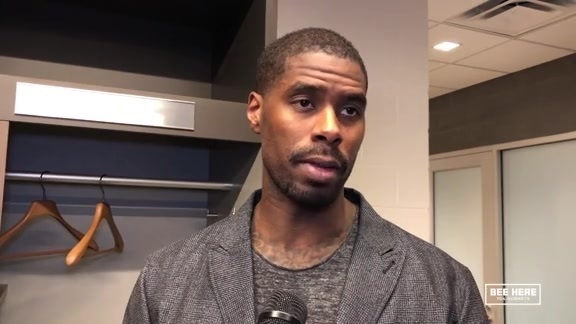 We need a guy that can just go, put his head down, athletically jump over somebody and get to the rim, get us to the free-throw line, not just settle.”… Marvin Williams tied Glen Rice for third place on the franchise’s all-time three-point field goal leaderboard with 508. Williams has made 508 three pointers in his 4+ seasons in Charlotte after making only 353 in his first nine years in the league… Willy Hernangomez scored nine points and brought down nine boards tonight, with each of his nine points coming in the third quarter… Charlotte entered the game averaging 12.5 three-pointers per game, the seventh best average in the league this year. Tonight the Hornets went 13-31 from deep.